We got our first extended look at the 2018-19 Kansas basketball team on Tuesday afternoon during the first of two camp scrimmages expected to take place during the next couple of weeks. While the scrimmage, won by the 7-man red team over the 6-man blue squad, was hardly complete without possible starting guards Devon Dotson and Quentin Grimes in attendance, it did offer a great look a few of the newcomers and several returning Jayhawks as well. By far the thing that stood out most to me was just how competitive everybody was. I realize that being competitive is what these guys do. You don’t get to a program like Kansas without registering off the charts in that department. But it’s one thing to play that way throughout your high school and AAU life and something completely different to do it during a meaningless summer scrimmage in early June. That was on full display throughout Tuesday’s scrimmage, with bodies flying and a variety of players trying to assert themselves on both ends of the floor. When KU coach Bill Self gets the report about how the scrimmage went — Self is in Colorado Springs working with USA Basketball and would not have been able to watch Tuesday’s game anyway because of NCAA rules — he, no doubt, will be encouraged by what he hears. 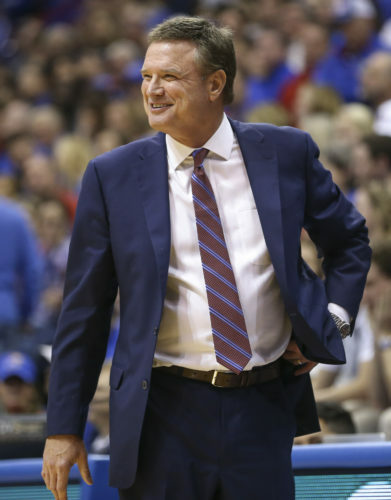 After all, shortly before leaving for Colorado Springs, Self in a conversation with the Journal-World outlined one of the things he was most eager to discover about the 2018-19 Kansas Jayhawks and it had a lot to do with that competitive fire. Tuesday’s scrimmage may have been just one day in a long stretch of important ones that lie ahead. 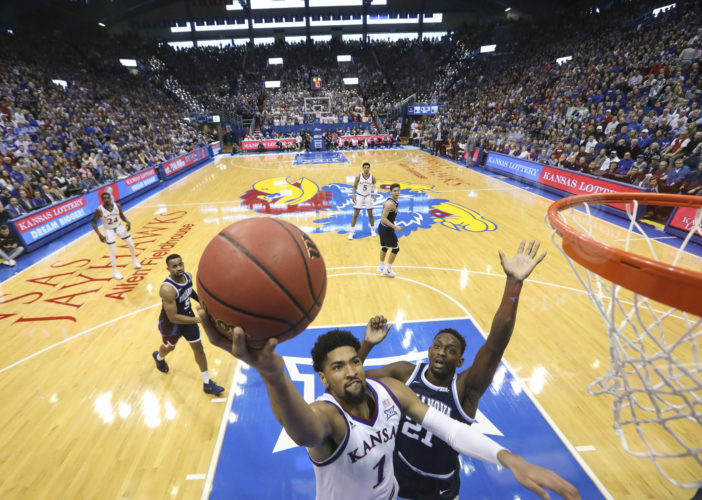 But that trio, along with the rest of the KU roster, showed a willingness to compete and get after it that KU’s coaching staff would surely love to have seen. • Charlie Moore can play. We knew that already, of course, given his solid freshman season at Cal and his Chicago pedigree. 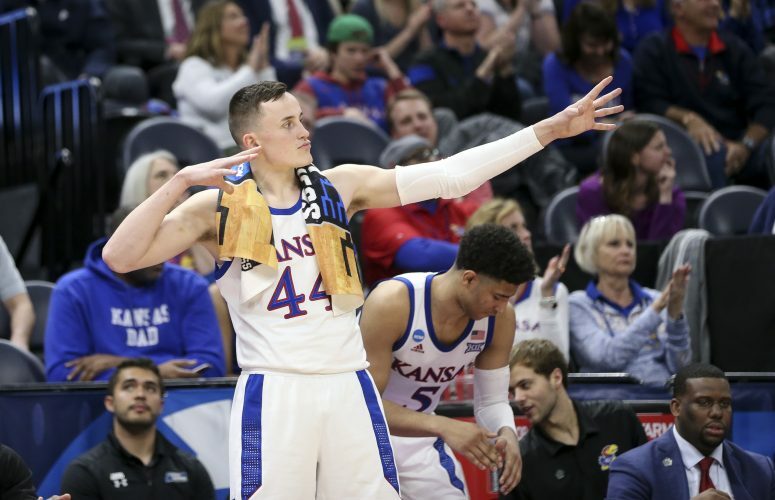 But he looks like he’s ready to step into the role vacated by the departure of Devonte’ Graham (and before that Frank Mason III) and should get a chance to do just that. Whether he wins the starting point guard job, shares it with Dotson or plays in a rotation role off the bench, Moore will help this team a ton. He’s lightning quick, good with the ball and fearless. He also shot it pretty well from distance on Tuesday, something the Jayhawks are going to need him to do well this season to help make their offense complete. Moore’s size is the only concern about his game, but it does not appear to be something that bothers him even a little bit. I was really impressed by the way he played and carried himself as a leader during Tuesday’s scrimmage. • Tom Keegan broke it down even deeper in his column from the scrimmage, but it’s worth noting here, as well. Freshman center David McCormack is a beast and he’s going to be nearly impossible to keep off the floor. Does that mean he’s going to play 30 minutes a game? Doubtful. But with all of those big men at his disposal, Self may very well have the luxury of asking each of those guys to play as hard as they can for as long as they’re on the floor while rotating them all in for 15-20 minutes a game in order to keep them fresh. If that’s how it plays out, McCormack will make an immediate impact. He’s got tremendous size, great power and good hands and feet. Beyond that, he doesn’t have a timid bone in his body. • Speaking of players who aren’t shy, sophomore Silvio De Sousa on Tuesday looked a lot more aggressive than almost at any point during his half season with the Jayhawks a year ago. His transition from IMG to KU was well documented last winter and the reasons for his slow growth all made plenty of sense then. It’s just not easy flipping that switch and trying to join a big time college program on the fly. But, as was the expectation at the end of last year, that little taste that De Sousa got is really going to benefit him for his sophomore season and it looks like it already has. He has so much more to his game than he was able to show last season. And so much of that peeked through during Tuesday’s scrimmage. He can shoot it, he’s got post moves, he’s strong and physical and he plays best when he’s in attack mode. Questions about De Sousa’s eligibility will linger for a while, perhaps even throughout the first few months of the 2018-19 season. But all indications right now are that the program is moving forward with the expectation that he will be on the roster and fully available for the 2018-19 season. If that’s the case, he, too, will have a huge role for the 2018-19 Jayhawks and Self’s ability to bring De Sousa and McCormack in off the bench is the kind of luxury that other teams and coaches would kill to have. • Let’s finish this off with a couple of quick hitters. Marcus Garrett’s shot looked better. It didn’t go in a lot, and he still hesitated to pull the trigger at times, but it did look better. His hands appear to be in better position and the ball had better flight. Remember, he’s only been working on the shot overhaul for about a month. Give it time. He’ll get there. • Sam Cunliffe looked by far as comfortable as I have seen him at Kansas. Maybe it was the environment or maybe it was because he feels like he belongs now and is comfortable with his place on the team. What that is and how many minutes it will bring him remains to be seen. But he shot the ball with confidence and played loose throughout the scrimmage. If he’s maturing, that will only help his chances of getting on the floor. • Udoka Azubuike did not play in Tuesday’s scrimmage because of a summer cold. But he was in the gym and it was crystal clear that he has the opportunity to be the unquestioned face of the program this season. He received by far the biggest ovation from the few hundred campers when assistant coach Kurtis Townsend introduced the team before the scrimmage. And the kids spent a few minutes chanting, “We want Dok, We want Dok,” while the scrimmage was being played. Azubuike, if he wants to let it shine through, definitely has the personality to handle this role and the game to back it up and it should be interesting to see how quickly he embraces it in the coming months.